In light of the recent announcement by Theresa May, the UK Prime Minister, that she will trigger Article 50 of the Treaty of the European Union (TEU) before the end of March 2017, we consider the potential employment law implications of Brexit for Irish employers. Article 50 of the TEU provides for a Member State to make a decision to withdraw from the EU in accordance with its sovereign constitutional requirements. Once such a decision is notified to the EU, it is necessary for that Member State to negotiate and conclude an agreement with the EU which will set out the arrangements for the withdrawal and the framework for the Member State's future engagement with the EU. All EU Treaties shall cease to apply to the withdrawing Member State from the date that the withdrawal agreement comes into force, or, in the absence of an agreement being concluded, within two years of the Member State notifying the EU of its withdrawal. In this regard, the Prime Minister has also announced her intention to draft a "general repeal bill" which will incorporate all EU regulations into UK law and which will not take effect until the government triggers Article 50. However, it remains to be seen what form such a bill might take. It is clear that Brexit is not going to happen overnight and once Article 50 is triggered, the UK will enter into a prolonged period of negotiation with the EU while the rest of the world will enter into a prolonged period of speculation as to what Brexit will actually look like and what it will mean for us all. The concept of free movement is something that most European citizens have come to take for granted in recent years. The EU has as one of its stated objectives, the creation of "an internal market characterised by the abolition, as between Member States, of obstacles to the free movement of goods, persons, services and capital". Provisions in relation to these issues are contained in the Treaty on the Functioning of the European Union (TFEU) and in particular, Article 45 TFEU provides for free movement of workers to and from the EU. However, when the UK triggers Article 50, the TFEU along with all of the other EU Treaties will cease to apply to the UK and accordingly, in the absence of agreement to the contrary, UK citizens will no longer be able to automatically move freely between Member States without restrictions. Similarly, workers from other Member States, including Ireland, may no longer enjoy the same freedom of movement within the UK. The level of such restrictions will, of course, be dictated by the terms of any withdrawal agreement. The difficulties that some UK citizens perceived to arise as a result of free movement of people became a significant source of debate in the lead up to the Brexit referendum. So this issue is likely to be front and centre of the UK's negotiations with the EU in relation to Brexit. Businesses may lose a degree of flexibility in allocating their resources between Ireland (or other Member States) and the UK. In the event that Brexit involves the UK exiting the EEA (and in the absence of a bilateral agreement), UK citizens working in Ireland may require employment permits. One of the criteria for an Irish employment permit is that the relevant employer can show that at least 50% of its employees are EEA nationals. Therefore, existing UK employees may, if the UK is no longer part of the EEA, bring the employer over the 50% threshold and cause issues in respect of applications for new employment permits. It is an offence for employers to employ individuals who do not have the required employment permit. Accordingly, it will be necessary for employers to take steps to lawfully adapt to any movement restrictions that flow from Brexit to ensure that they are in compliance with their employment permit obligations. Irish businesses with presences in the UK will need to be aware that employment law in the UK may well change and end up diverging from the law of Ireland and the EU. Employment legislation in Ireland and the UK in relation to discrimination, working time, remuneration, calculation of holiday pay, parental leave, information and consultation and transfers of undertakings currently derive from EU legislation. UK law may evolve differently in the future depending on the exit arrangements agreed between the UK and the EU. It is important for employers to be aware of the potential ramifications of Brexit and to begin to plan accordingly. 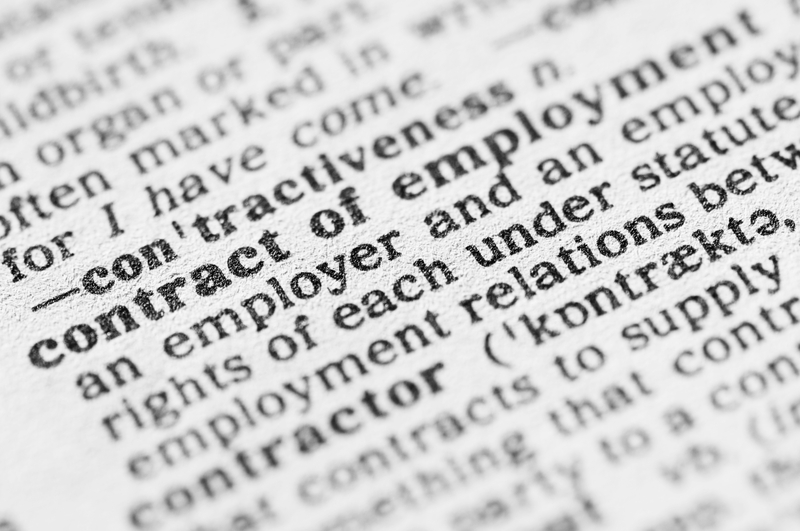 In the increasingly likely event that an exit agreement is concluded, employers should seek legal advice to ensure that they will be compliant with their ongoing employment law obligations.